Letter carriers at the U.S. Postal Service have a lot to worry about these days: a dramatically diminished workforce, potentially dangerous after-dark deliveries and, of course, dogs. Now you can add girl problems to the list. According to a poll from Insure.com, women ranked “mail trucks” dead last when asked to evaluate the kind of vehicle attractive men drive. Pickup trucks, sports cars and SUVs were the most popular options among the ladies, collectively accounting for three-quarters of the response. Mail trucks came in at just 1 percent. 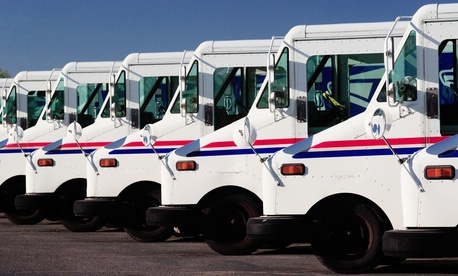 Many Republicans in Congress have pushed for privatization of postal operations, and apparently, many women agree; UPS trucks came in two spots ahead of their Postal Service counterparts in the driver hotness rankings. Insure.com polled 2,000 licensed drivers age 18 and over for the survey. Next Post | Have Feds Been Off the Job 25 Percent of the Time This Fiscal Year?